Reserve your place on this November Running Holiday. When It’s cooling down in other parts of the world the sun is still shining in the Algarve, Portugal. This running training camp is your chance to dedicate a week to training while also having fun and exploring this great location. Awesome training, awesome holiday. All was amazing – coaches, food and accommodation. My first running camp and couldn’t recommend it highly enough, I’m already looking at next years calendar! Villa complex is a perfect setup with a great balance of training, rest and coaching. My first running camp and it was a great experience: a combination of fun, physical effort, challenge, great support from the coaches and very nice people! What a thouroughly enjoyable week. This was my first training camp, and it was a very well run. All the coaches were super friendly and knowledgable, as well as all the other people attending. It was a mix of both a running camp and tri, so lots of different activities going on and a great mix of people. It’s amazing how much can be packed into a week, and that one can do it all! Overall I logged 88KM’s/54Miles of runs which is well over double my usual weekly distance. Some of the running routes and trails were so varied, interesting and lovely to run along. I’ve learnt an incredible amount, not only about training and building better structure and quality into my schedule, but also finding some of my limits, as well as discovering how far I can push myself too. The food was also super tasty, plentiful, and healthy and undoubtedly helps fuel and repair you through the course of the week. I would definately recommend this camp, and I will definately attend another one! 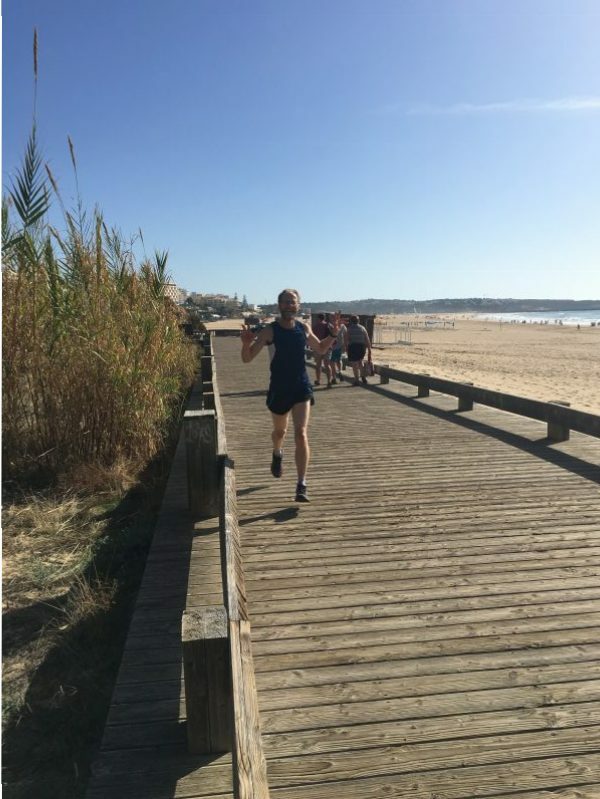 This was my first time on a running holiday and it was a lot of fun! The coaches and the other athletes are all really nice and social. The scenery is absolutely superb and the weather was absolutely perfect all week. The training is a nice mix of different things to do and was manageable even though I wasn’t in the best shape at the start! This is my second Embrace running camp and I can’t recommend it enough. The sessions are varied, the coaches are knowledgeable and supportive, and the food is amazing! Will definitely be back. My second trip to the Embrace camp in Portugal – and will definitely be back again! Fun sessions (where I definitely felt like I was working hard! ), lovely people and delicious food. The promise of sunshine and warmth in November is a real healthy tonic. Even though I was not feeling like Pheidippides at the start of the week , the weather and awesome food from the instructors striving to out do each other in the kitchen soon had there effect. We ran on a mix of terrains with athletes of all running abilities and ages. This melting pot was all catered for in Embraces training programme with you feeling very quickly a group member. Each year Embrace make subtle improvements in professionalism which are noticeable giving great value. I thoroughly recommend this running camp. It’s a great way to challenge yourself and you’ll learn new things to bring back home! There’s a great mix of training and some beautiful runs, tasty food and lots of social time too. I look forward to returning next year to kick start my winter training again! My first ever sports related holiday and I can honestly say it won’t be my only one. I learnt soo much from the coaches and other “holiday makers” alike and took some inspiration home to do some more interval training and get myself out on my bike (which wasn’t my strongest activity whilst there). I totally over-faced myself after having 5 swimming lessons prior to going out and only pootering in my local lanes (which are very flat) on the bike, so this was a lot to take in. Luckily you can pick and choose which activities you take part in and I was able to switch to a couple of running sessions (my comfort zone) when I chickened out of the tri activities 🙂 So if you’re weaker on the tri-side and just want a taster the combination of both camps in situ on the same dates works really well! These guys are pretty special! I went out there on my own and had a blast – Fantastic group, great coaches, delicious food and plentiful wine and beer! I am an average runner, not overly serious, but was wanted a break where I could be active and have some down time as well, with a sociable and fun group. The trip delivered in spades. Book it and see it for yourself! Great holiday, started the holiday recovering from a knee op and the coaches put no pressure on to run but advised how to approach it and I ran 40+ miles in the week without any pain. Thoroughly recommend any Embrace holiday. Once again, a really good holiday. Excellent training, and Neil, Graeme & co really looked after us. My first running camp – what a fantastic experience. A great place to stay with stunning coastal runs and woodland trails, amazing food, dedicated and inspiring coaches. A week of challenges, achievements and lots of laughter – can’t wait for the next one! Throw in excellent food and accommodation and you have a brilliant holiday ! 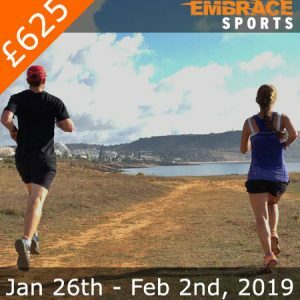 The November Running week was my third visit to the Algarve with Embrace. For me its a perfect package. 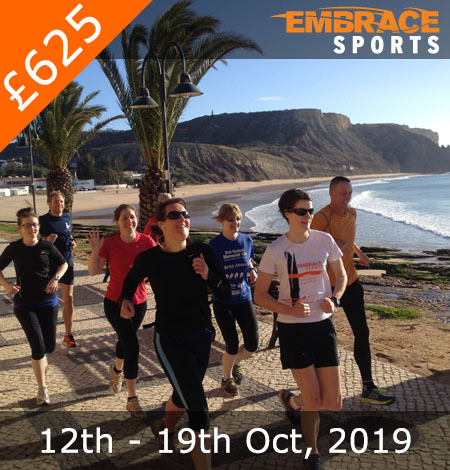 A fabulous place to train with some warm weather, coastal scenery, great food and hospitality and the chance to meet like minded people. The Embrace team are very supportive and have a wealth of experience in all areas. They will inpsire and help you to acheive your goals and make you feel like a real athlete no matter what level you are aiming for. Above all, its a fun week and a great way to round off the year. This was my 4th Embrace trip, so they must be good. Fantactic running, amazing food, lovely people. The people make it what it is, I’ve met some great folks and arranged repeat trips and catch ups back home. 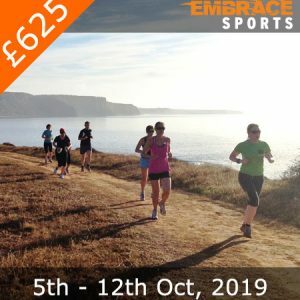 This was my first running camp with Embrace Sports and I enjoyed it so much that I’m already thinking of coming back next year for Duathlon or Tri Camp! 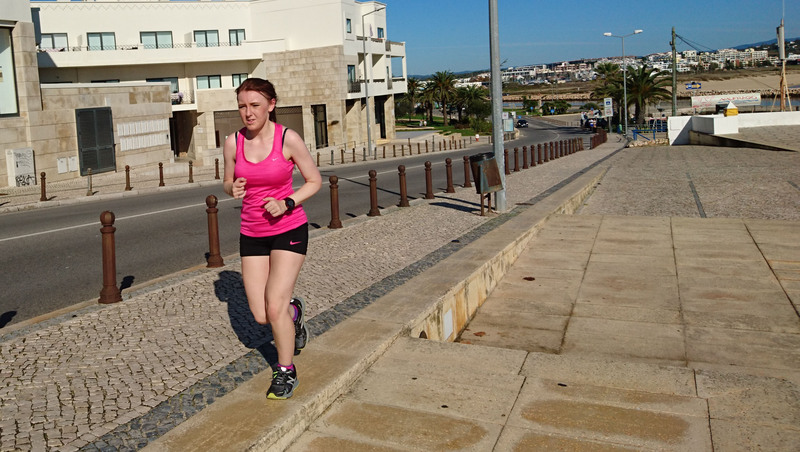 Some highlights were; very knowledgable, experienced, friendly coaches, fantastic food (cooked by the coaches), great apartments and pool complex, beautiful coastal and woodland trail runs and the hellish hills….. I’m still having nightmares about the hills 😉 With most food and wine and airport transfers included too, it’s a great value training camp. Well done Neil, Graeme, Alan, Rachel and Kat (and Bailey) what a great team!! Absolutely fantastic. Great mix of training plus options for all abilities. Wonderfully sociable as well. Will recommend it to friends and fellow runners. I’m already contemplating my 2017 holiday! Easy to book, even though I was very last minute. Great training, coaches, food and socialising with like minded people. Have thoroughly recommended to friends. This is my 6th camp with Embrace and I loved it as much as the others. They cater for all abilities and bring out the best in everyone and help you believe you can achieve your goals. It’s a formula they have perfected and I will definitely be back again. I was recommended embrace holidays and it definitely exceeded all expectations. The team provide the perfect package of training, advice, food, fun all in a relaxed way. I would do another! 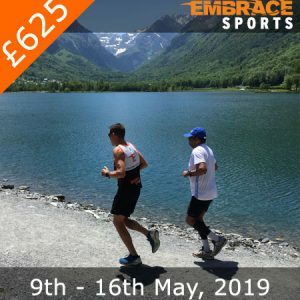 Having never been on a running Holiday of any sort I thoroughly recommend this training for pushing your abilities into the unknown. I consider myself a jogger really but the mix of distance and terrain was certainly invigorating. The Embrace Team make you feel welcome into their family and are excellent coaches and cooks. Coaching, Food, Accomidation,Transfers and general atmosphere all to an amazing standard – couldn’t recommend it more – I’ll be back to try out the triathlon holiday!